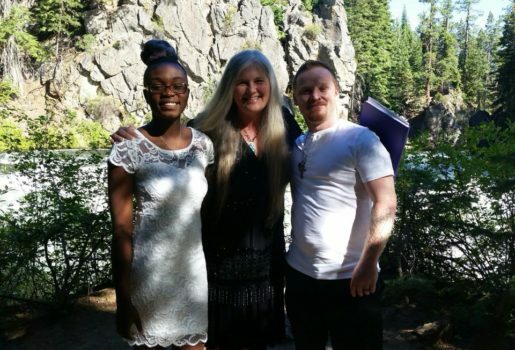 Sherrie Wirth in a Non-Denominational Ordained Minister service Bend & Central Oregon areas. She performs both traditional and non-traditional ceremonies. Traditional, Designer, Intimate, & Elopement Weddings & Ceremonies for smaller venues. I Love serving the Central Oregon community as a Non-Denominational Ordained Minister for smaller venues. I perform both traditional and non-traditional ceremonies including Traditional, Designer, Intimate & Elopement. Some of the Special Locations Used in the area are: Sunriver Resort, Black Butte Ranch, Broken Top Resort, Mt. Bachelor, Brasada Ranch, Riverhouse on the Deschutes, Broken Top Club, Vineyards, Wineries and more. I’m happy to travel for your Special Occasion & Ceremony to any location in Central Oregon including: YOUR LOCATION OF CHOICE, Bend, Sisters, Redmond, Sunriver, Madras, Terrebonne, Prineville, Powell Butte, Lava Butte, Tumalo, Culver, & La Pine, Oregon within 65 mile range from Bend. Further locations can be discussed. I look forward to hearing from you about your Special Day! Please feel free to call me at 541-640-0270.